Neither the TCU Horned Frogs or the Creighton Bluejays had any problems to dismiss their first two opponents in the NIT. We can however note that the Horned Frogs are just 5-11 ATS in their last 16 games overall while the Bluejays are 7-1 ATS in their last eight games overall. It's also worth mentioning that Creighton will be playing on three days rest while TCU only has had one day off since its 88-72 rout of Nebraska on Sunday. This late in the season, only two days can make a world of difference. Look for a cresh Creighton team to cover the spread. 8* play on Creighton Bluejays. The 12th-seeded Liberty Flames managed to defeat No. 5 seed Mississippi State despite closing as a 7-point dog in the first round. I think their Big Dance adventure will come to an end here against the fourth-seeded Virginia Tech. I'm not sure if even Liberty believes it can win this game. "The stuff they run offensively is nightmares to prepare for," Flames coach Ritchie McKay said of the Hokies. "I was back at the hotel … and started watching film, and I finally gave up." The Hokies biggest asset is their defense though. They have held opponents to 61.8 ppg on the season and limited Saint Louis to 36.5% shooting from the field and 4-for-23 from three-point range in a 66-52 victory in their first round matchup. "It’s a known precedent that if you play Virginia Tech, you’re going to make shots and have your best shooting night," Tech point guard Justin Robinson cracked after the game. VT is 6-1 ATS in its last seven neutral site games while the Flames are 3-9 ATS in their last 12 neutral site games. 8* play on Virginia Tech Hokies. 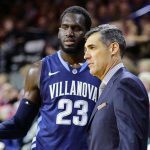 The Villanova Wildcats are 5-0 ATS as underdogs this season, and I'm very happy to take the points on the the defending national champion against Purdue Boilermakers in the second round of the NCAA Tournament Saturday night. Purdue may have put a 61-48 beating on Old Dominion in the first round, but it had dropped two of three games prior to that. Villanova on the other hand is peaking at the right time. It has won six of its last seven games overall and is 14-3 ATS in its last 17 NCAA Tournament games. Wildcats are 11-2 ATS in their last 13 vs. Big Ten. Boilermakers are 2-7 ATS in their last 9 vs. Big East. 8* play on Villanova Wildcats. The Kentucky Wildcats opened the NCAA Tournament with a 79-44 rout of 15th-seeded Abilene Christian, despite missing their leading scorer and rebounder PJ Washington. He's expected to miss Saturday's matchup as well with UK coach John Calipari quoted saying "I just can't (imagine him playing)". Here Kentucky will face a tougher test in a Wofford Terriers team that has won 21 games straight up and been money against the spread lately covering in 12 of their last 13 contests. The Terriers are a perfect 7-0 ATS in their last seven games vs. a team with a winning straight up record and 6-0 ATS in their last six Saturday games. We can also note that the Terriers will feel pretty confident coming off an 84-68 triumph over Seton Hall for their first NCAA Tournament win ever. Senior guard Fletcher Magee finished with 24 points on 7-of-14 shooting and is averaging 20.6 points per game while hitting 42.8% from deep on the season. All in all, Kentucky is no doubt a better team even without Washington, but I think Wofford will be able to keep this close. 8* play on Wofford Terriers. The Wisconsin Badgers look like a bad matchup for the Oregon Ducks here in this first round of the South Region contest in San Jose, California Sunday afternoon. The Oregon Ducks are coming off eight straight victories after winning their final four games of the regular season followed by a perfect 4-0 run in four days, including a 68-48 rout of top-seeded Washington to claim the PAC-12 Conference Tournament. They did however close as favorites in all but one of those games, but here they're an underdog against a Wisconsin side that had won four on the bounce before coming up short in a 67-55 loss to Michigan State in the semifinal round of the Big 10 Tournament on Saturday. I think that setback will make the Badgers even more motivated for this contest while Oregon is coming in overrated by the bookies and the public and "due" for a bad game. Wisconsin is far from an offensive juggernaut, but it is one of the stingiest defensive teams in the nation which is a great asset for tournament basketball. 8* play on Wisconsin Badgers. The Tennessee Volunteers are a well deserved favorite here in this NCAA Tournament first round matchup with the Colgate Raiders, but I think the underdog is spotted too many points to pass up on. Colgate will enter Nationwide Arena steaming hot and high on confidence following 11 straight wins, including a 94-80 triumph over Bucknell in the Patriot League title game last Wednesday. Tennessee is without a doubt a Final Four contender, but it will also know the road there is quite long and there's no reason to waste more energy than needed to just get past its first round opponent. The Raiders on the other hand will have nothing to lose and will without a doubt give maximum effort throughout the whole game, opening for a backdoor cover. 8* play on Colgate Raiders. The Ole Miss Rebels enter this NCAA Tourney matchup with the Oklahoma Sooners as losers of four of their last five games, but that straight up record is a bit deceiving. The Rebels played a tough schedule and were 4-1 ATS in those five games and a solid 13-6 ATS as favorites on the season. Here they'll face an Oklahoma team that is 2-4 ATS through its last six games and lost straight up as a 6.5-point favorite against WVU in the first round of the Big 12 Tournament on Wednesday. The Sooners are just 3-9 ATS in their last 12 NCAA Tournament games. The Rebels will have a clear advantage on the charity stripe in this matchup, entering Friday ranked fifth nationally at 78.3%, while the Sooners are 235th at 69.1%. With this expected to a close game free throws could easily play a huge part down the stretch. 8* play on Ole Miss Rebels. The fourth-seeded Colorado Buffaloes are a perfect 3-0 ATS as a home favorite of 3.5 to 6 points this season and 11-4 ATS in all home games. The Buffs took a loss to top-seeded Washington in the Pac-12 Tournament final but look good to bounce back with a win here as they take on the fifth-seeded Dayton Flyers in the first round of the NIT Tuesday night. Dayton took a 64-55 loss to St. Louis in the Atlantic 10 quarterfinals its last time out. It is 3-7 ATS in its last 10 games vs. a team with a winning % above .600 and 0-4 ATS in its last four non-conference games. Colorado usually makes its homecourt advantage count, and I can easily see the Flyers struggling with the altitude at CU Events Center in Boulder. 8* play on Colorado Buffaloes. The Houston Cougars have a chance to claim their first AAC tournament title in school history when they take on the Cincinnat Bearcats at FedExForum Sunday afternoon. The Cougars were cruising to an easy win over Memphis in their semifinals matchup on Saturday before completely shutting off down the stretch. They scored just seven points in the final 10 minutes to allow the Tigers back in the game, winning just 61-58, closing as an 8-point favorite. I doubt they'll make the same mistake two games in a row though, and we can note that the Cougars are 13-3-1 ATS in their last 17 games following a ATS loss. Houston has already beaten the Bearcats twice this season and routed them 85-69 at Cincinnati just a week ago. Cincinnati is 1-9 ATS in its last 10 games and 0-4 ATS in the last four meetings with Houston. The Cougars defense has been excellent in recent weeks and held Memphis to 23.5% shooting from the field yesterday. Cincy can no doubt play defense as well, but it doesn't shoot the ball nearly as well as the Cougars who had scored 84+ points in three straight games heading into Saturday. The favorite is 9-0 ATS in the last nine meetings between the St. Bonaventure Bonnies and the George Mason Patriots. That's a trend I think will continue here at Barclays Center Friday afternoon. The Bonnies won the last meeting 79-56 on Feb 17 and should be able to take full advantage of a fatigued Patriots side. 8* play on St. Bonaventure Bonnies. Two teams more than capable of running up the score will clash in Friday's early matchup at FedExForum as the Connecticut Huskies clash with Houston Cougars in the quarterfinals of the AAC Tournament. Houston is coming off an 85-69 win over Cincinnati. It has scored 85+ points in three of its last four games and averages 76.4 ppg on the season. Connecticut shot 13-of-24 from behind the arc in an 80-73 win over South Florida last night to make it two straight games with 80+ points scored. Over is 9-2 in Cougars last 11 Friday games. Over is 9-2 in Cougars last 11 Friday games. Both the Creighton Bluejays and the Xavier Musketeers ended the regular season on impressive runs. The Bluejays won each of their last five games SU and ATS while Xavier won six of its last seven, covering the spread in all wins. The two teams split a couple of regular season meetings with both defending homecourt, but I like Creighton to claim this conference tournament quarterfinal matchup at Madison Square Garden Thursday night. Note that the Musketeers top scorer Naji Marshall was held out of Saturday's win over St. John's with an ankle injury and is expected to be a game-time decision for this contest. Points won't come easy for Xavier here against a Bluejays side that has held four of its last five opponents to 70 points or fewer, and note that Creighton has scored an average of 91.3 ppg on the road this season. The Bucknell Bison look like a good value underdog here in the Patriot League Tournament title game. The Bison shot a red hot 53.4% from the field in a 97-75 rout of Lehigh last time out and are 8-2 ATS in their last 10 games following a straight up win of more than 20 points. The Colgate Raiders have failed to cover the spread in two of their last three games and struggled to pull away from Navy in their semifinals game. Bucknell and Colgate split a couple of games during the regular season with both winning at home. We can however note that Bison are the two-time defending Patriot League Tournament champions, so they know what this game is all about. I'm looking for the visitors to overcome Colgate's homecourt advantage and at the very least cover the spread. 8* play on Bucknell Bison. The Miami (FL) Hurricanes are at a huge rest disadvantage in this early ACC Tournament matchup with the Virginia Tech Hokies Wednesday afternoon. Virginia Tech has had four days to rest and prepare since its 84-70 win over the Hurricanes last Friday. The Canes on the other hand were in action last night as they earned a spot in the second round by beating Wake Forest. The Hurricanes are still just 6-13 ATS in their last 19 games vs. a team with a winning straight up record while VT is 15-5-1 ATS in its last 21 games vs. a team with a losing straight up record. The Hokies have managed to overcome an injury to senior point guard Justin Robinson and enter this contest as winners of five of their last seven games. sophomore guard Nickeil Alexander-Walker has picked up the slack and put up 21 points against the Canes last time out. "In adversity, you kind of have to bring your best out. I think I've done that," Alexander-Walker explained. "Thanks to my teammates, because through this transition, they’ve been nothing but supportive." Additionally we can note that Miami is 1-3 ATS in neutral court games this season while Virginia Tech is a perfect 4-0 ATS in such spots. As the clincher; The Hokies are 7-1 ATS in the last eight meetings. The Georgia Tech Yellow Jackets and the Notre Dame Fighting Irish have split a pair of games so far in 2019, but the Yellow Jackets are 11-1-1 ATS in the last 13 meetings. I like Georgia Tech to come through with a win here in this ACC Tournament first-round matchup Tuesday night. Note that Notre Dame is just 1-10 ATS in its last 11 games vs. a team with a losing straight up record and 1-6 ATS in its last seven Tuesday games. 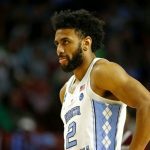 Georgia Tech is 8-3 ATS in its last 11 Tuesday games and will be high on confidence following back-to-back wins, the most recent a 63-61 triumph as an 11-point underdog against NC State. The Fighting Irish on the other hand have dropped seven in a row since defeating Georgia Tech on Feb 10. 8* play on Georgia Tech Yellow Jackets. The St. Mary's Gaels have played seven straight unders and have not been in action since a 69-55 loss to Gonzaga on March 2. I would not be surprised to see them come out rusty with some wild shooting to start this game. It certainly won't help matter that the Gaels will face a San Diego side that has held its first three opponents in the WCC tournament to an average of 49.7 ppg. Under is 6-2 in the Toreros' last eight overall. The under is 5-0 in the last five head-to-head meetings and they combined for just 112 points in the very last matchup in the series just a few weeks ago. The Iowa Hawkeyes are losers of three in a row and shot just 30.5% from the field in a 65-45 loss to Wisconsin last time out.They'll have coach Fran McCaffery back on the bench for this contest after serving a two-game suspension. I think coach McCaffery will be looking for a solid defensive effort from the Hawkeyes, but their scoring woes are likely to continue against a Nebraska side that has held opponents to 59.1 ppg home at Pinnacle Bank Arena this season (under is 6-1 in Cornhuskers last seven home games). Both the Iowa Hawkeyes and the Wisconsin Badgers have been atrocious against the spread lately with Iowa going 0-6 ATS through its last six games and Wisconsin 0-5-1 ATS through its last six. The Badgers might have performed poorly against the spread, but they're going for a fourth win in five games here and I expect the home team to come up with a big performance here. The Badgers defeated PSU 61-57 last time out and have plenty of motivation as they look to earn a double bye in the Big Ten tournament. "In this league you have to scratch and claw for everything you get," Wisconsin coach Greg Gard told reporters. "Our guys have figured out what our identity needs to be and how tough we need to play." The Badgers are 10-4 ATS in their last 14 home games vs. a team with a winning road record and have covered the spread in five of the last seven meetings in this series. We can also note that this will be the final game of Iowa head coach Fran McCaffery’s two-game suspension. They lost the first one by 14 to Rutgers on Saturday. The Hawkeyes are a poor 6-14-1 ATS in their last 21 road games and I like the Badgers to run away with this game. Additionally we can note that Providence is a perfect 4-0 ATS as a road underdog of 3.5 to 6 points on the season. Take the visitors to cover the spread in a low-scoring contest. 8* play on Providence Friars. The Iowa State Cyclones have not been at their very best of late, but they snapped a two-game losing streak with a 78-61 win over Oklahoma last time out and own a pretty impressive resume with triumphs over teams like Kansas State, Texas Tech and Ole Miss. The Longhorns are coming off back-to-back defeats, the most recent a 84-83 loss at Baylor on Wednesday night. They've won just one of their last four and averaged 70.7 points in those games, and that simply won't cut it against an Iowa State team more than capable of running up the score. 8* play on Iowa State Cyclones. The Northern Kentucky Norse are 16-1 at home but just 5-7 SU (3-9 ATS) on the road this season. They've played four of their last five at home and I think the Norse will come up short in terms of covering the spread here at UW-Milwaukee Panther Arena Thursday night. The Wisconsin-Milwaukee Panthers have lost nine in a row SU, but seven of those were on the road. They would like no more to play spoiler for a N. Kentucky team that is battling for the top spot in the Horizon League despite splitting their last eight games. Note that UW-Milwaukee has covered the spread in six of the last eight meetings with the Norse. 8* play on Wisc-Milwaukee Panthers. The Drake Bulldogs had won four straight before taking a 67-60 loss as a 2-point underdog at Illinois State on Sunday. They were in a position to win but will be very disappointed after allowing their opponent to run away with the game late. The Bulldogs are 9-2-1 ATS home at Knapp Center on the season and look like a solid home favorite here against an Indiana State team that has covered the spread in back-to-back games but is just 1-6 ATS in its last seven games following a ATS win. The Sycamores are giving up 77.5 ppg on the road which is way above their season average overall. Drake won the first meeting of the season by six points at Indiana State and is still the favorite to claim the MVC title despite its most recent defeat. I expect the Bulldogs to make the most of their motivational and home advantage here. 8* play on Drake Bulldogs. The Miami Hurricanes are winless on the road this season (0-7), but they lost by just three points as a 16-point underdog at North Carolina on Feb 9. Miami recorded a 76-65 home win over the Wake Forest Demon Deacons on Jan. 12 and I think the Hurricanes are due for a big win on the road here at Lawrence Joel Coliseum Tuesday night. The slumping Demon Deacons have failed to cover the spread in seven of their last nine and took a 94-74 loss as a 15-point underdog at NC State on Sunday. Here Wake Forest will face a Hurricanes team that will have a one-day rest advantage after putting an 80-65 beating on Georgia Tech on Saturday. Miami has covered the spread in five of six games this month. Additionally we can note that Wake Forest is 6-12 ATS as an underdog on the season and 0-5 ATS when trying to avenge a road loss vs. an opponent, making this a good spot to fade the home team. 8* play on Miami-Fl Hurricanes. The Michigan State Spartans have answered a three-game skid by winning four in a row, but they failed to cover the spread in a 71-60 win over Rutgers last time out and here they're in a tricky spot on the road at instate rivals Michigan. Note that this is a huge matchup for both teams as they enter this contest tied with Purdue at the top of the Big Ten standings with 13-3 conference records. The Spartans have been underdog twice this season and failed to cover the spread both times, first against Kansas at neutral location back in November and more recently losing by 10 at Purdue Jan 27. Here Michigan State will face a Wolverines team that is a perfect 16-0 SU home in Ann Arbor and 11-0 ATS in its last 11 home games vs. a team with a road winning % of greater than .600. This will be the first meeting of the season, but Michigan has dominated the last three matchups and I think the home team will get the job done here. 8* play on Michigan Wolverines. Huge matchup for No. 12 Kansas Jayhawks and No. 14 Texas Tech Red Raiders who are tied for 2nd place in the Big 12 with 9-4 records, one game behind Kansas State. Texas Tech will be seeking revenge for a loss at Kansas on Feb 2, and it has won and covered the spread in four straight games since, winning by an average of 24 points while holding opponents to an average of 54 ppg. Kansas has won and covered the spread in three straight games but is 1-4 ATS as an underdog this season and 2-6 ATS in its last eight road games vs. a team with a home winning % of greater than .600. We can also note that Lagerald Vick, second on the team in scoring, has missed the last three games and is out indefinitely as he deals with personal matters. 8* play on Texas Tech Red Raiders. The Georgetown Hoyas are coming off an impressive 85-73 upset win over Villanova. They still have their work cut out for they want to make the NCAA Tournament, and a loss here would be devastating. "We have to build on this, it can't be just a one-game thing," coach Patrick Ewing told the media. "We have five more games to go and our dreams and our goals are to make the NCAA Tournament." Creighton had lost four straight before finally breaking out of the slump with a 79-67 win at DePaul last time out. The Bluejays are 8-6 SU but just 5-8 ATS at home on the season and 3-9 ATS in their last 12 games overall vs. a team with a winning % above .600. Creighton has won each of the last four meetings SU (3-1 ATS), but I would not be surprised to see Georgetown winning this one straight up and I'm well happy to take the points on the visitors in this matchup. 10* play on Georgetown Hoyas. The Ohio State Buckeyes snapped a two-game skid with a 63-49 win over Northwestern on Wednesday. I think they'll find it very tough to make it two on the bounce here though when visiting Maryland Saturday afternoon. The Terps have won three of four to remain in contention in the Big Ten race. Recent results are particularly impressive considering they closed as underdogs in all those four games, and I don't think they'll have any trouble covering the spread as a favorite against a Buckeyes team that has struggled against strong opponents in recent seasons and is 1-6 ATS in its last seven games vs. a team with a winning % above .600. Maryland won the first meeting of the season 75-61 at Ohio State. The visitors are not given nearly enough points here. 8* play on Maryland Terrapins. The Buffalo Bulls are coming off a 114-67 rout of Ohio and have played three straight overs. They're scoring an average of 85.8 ppg overall which ballons to 90.3 ppg in front of the home town crowd at Alumni Arena. The Kent State Golden Flashes took an 84-74 loss at Central Michigan last time out and over is 7-2 in their nine games vs. teams that averages 77+ points/game. Over is 9-3 in the Bulls last 12 Friday night games and I think points will come fast and easy for both sides in this contest. The Washington Huskies are a perfect 5-0 SU and ATS home at Alaska Airlines Arena in PAC-12 play this season. Here they get get an opportunity to show off for the home town crowd for the first time in almost three weeks, and I expect the home team to come out focused and run away with this game rather comfortably. Utah had a three-game winning streak come to an end with a 98-87 home loss to Arizona State on Saturday and has given up 90+ points in two of its last three games. Sure, Utah can put points on the board, but such sloppy defending will make it extremely difficult to keep up with a Washington side that has averaged 73.3 ppg while holding opponents to 59.9 ppg for a +13.4 point differential in its own building. The Utes took a 69-53 beating by Washington as a 1.5-point home underdog on January 10. They are 3-10 ATS in their last 13 games vs. a team with a winning % above .600 while the Huskies are 7-1-1 ATS in their last nine games vs. a team with a winning straight up record. 10* play on Washington Huskies. The Iowa State Cyclones look like a great home favorite against Baylor Bears Tuesday night. Iowa State has won five of its last six games and will be high on confidence coming off a 78-64 upset win at conference-leading Kansas State Wildcats. The Cyclones are a solid 11-2 SU home at Hilton Coliseum and 11-5-2 ATS in their last 18 home games vs. a team with a losing road record. Here Iowa State will take on a Baylor Bears team that took an 86-61 beating at Texas Tech last time out to fall to 1-3 SU (0-3-1 ATS) through its last four games. The Bears have struggled to put points on the board during that stretch and leading playmakers Makai Mason and King McClure are both questionable for this matchup. Baylor won the first meeting of the season 73-70 home at Ferrell Center. ISU will be well up for this game and is scoring 80.9 ppg while allowing only 62.6 ppg as a home team for a +18.3 point differential. 10* play on Iowa State Cyclones . The No. 18 Kansas State Wildcats should be fired up for this one after seeing their four-game SU and ATS winning streak come to end with a 78-64 loss against Iowa State on Saturday. Dean Wade left midway through the second half and seems unlikely to play Monday, but I think the Wildcats will come through with a win anyway. The Wildcats are 8-1 ATS in their last nine vs. Big 12 competition and 5-0 ATS in their last five road games vs. a team with a winning home record. They're still top of the conference but can't afford another loss with No. 14 Kansas and No. 15 Texas Tech breathing down their neck. The West Virginia Mountaineers have been playing without a full squad for much of the season and coach Bob Huggins has only nine healthy scholarship players. They've been a great fade of late, losing six of their last seven SU and ATS. WVU has been held to an average of 52 ppg through its last three games and points won't come easy here against a Kansas State team that owns the fourth best scoring defense in the nation. Kansas State battled back from a 21-point second-half deficit to defeat West Virginia 71-69 in Manhattan on Jan. 9, but I think the Wilcats will win this contest comfortably. 10* play on Kansas State Wildcats. The Colorado Buffaloes are going for a fifth straight win SU and ATS when they host the reeling Arizona Wildcats at Coors Events Center Sunday night. The Buffaloes will be high on confidence following a 77-73 win over Arizona State, and I'm well happy to back the home team in this matchup. "What a hard-fought win by a group of guys, you can just sense them coming together as a group and galvanizing around each other," Colorado coach Tad Boyle told the Boulder Camera after the most recent win. "Because that was a good team we beat tonight." The Wildcats are heading in the opposite direction. Second-leading scorer, freshman guard Brandon Williams, is expected to miss his fifth straight game with a knee injury and they've struggled big time without him, losing six straight SU and ATS. "We don’t want to lose our seventh in a row, but it is a possibility." ASU coach Sean Miller told Tucson.com. Arizona has won 12 of the last 14 meetings between the teams, but it is just 3-5 on the road this season while Colorado is 12-4 ATS in its last 16 home games vs. a team with a losing road record. 10* play on Colorado Buffaloes. The No. 12 Michigan State Spartans enter Sunday one-half game behind rival Michigan at the top of the Big Ten Conference, but I expect MSU to move back into a first-place tie with a win here against Ohio State Sunday afternoon. The Buckeyes had a three-game winning streak come to an end with a 63-56 home loss to Illinois last time out. They have failed top 56 points in either of their last two games and are just 5-8 ATS against conference opponents on the season. Michigan State meanwhile has answered a three-game skid with back-to-back wins over Minnesota and No. 23 Wisconsin. The Spartans are 18-5 ATS as a favorite this season and a perfect 2-0 ATS as a home favorite of 9.5 to 12 points. We can also note that they recorded an 86-77 road win at Ohio State on Jan. 5. Ohio State can match the Spartans defensively, but considering MSU averages 87.4 ppg home at Breslin Center while Ohio State is scoring just 61.4 ppg on the road I think this looks like a spread the home team should be able to cover. 8* play on Michigan State Spartans. The Gonzaga Bulldogs allowed Loyola Marymount to hang around late in Thursday's matchup before closing the game with a 16-4 run to earn their 15 straight victory. They defeated tonight's opponent the San Diego Toreros 85-69 on Feb. 2 and I think the Bulldogs will want to get a big win here after failing to cover the spread last time out. Gonzaga is 7-3 ATS in its last 10 games following a ATS loss and 19-7-1 ATS in its last 27 road games vs. a team with a home winning % of greater than .600, so the fact that San Diego is 11-2 SU home at Jenny Craig Pavilion doesn't scare me. We can also note that the mood in the San Diego camp might not be the best after allowing a 14-point, second-half lead slip in its 88-82 OT loss to BYU on Thursday. 8* play on Gonzaga Bulldogs. The Georgia Bulldogs are on an 0-5 SU and ATS run since a 98-88 upset win over Texas on Jan 26. Only two of those losses came home at Stegeman Coliseum though where Georgia is a solid 8-5 SU and ATS on the season. The LSU Tigers are no doubt on a nice run as winners of three in a row and 12 of their last 13, but they're in a letdown spot here after an emotional buzzer beater triumph as an 8.5-point road underdog last time out, beating Kentucky for the first time since 2009. LSU beat Georgia at home 92-82 on Jan. 23, but note that Georgia still covered the spread and that the underdog is 7-1-1 ATS in the last nine meetings. Georgia is underrated by the bookmakers here due to its poor run of games, and I'm happy to take the points on the home team. 8* play on Georgia Bulldogs. The No. 15 Texas Tech Red Raiders are on a roll, winning five of their last six outright and only loss as an underdog at Kansas on Feb 2. They've since won three games by an average of 23.7 points and have covered the spread in each of their last four games as favorites. Texas Tech should be extremely fired up for this matchup with the Bears as they seek to avenge a 73-62 loss at Baylor last month. Good timing as they're catching the Bears in a bit of a slump, having allowed an average of 77 points in losses to Texas and Kansas State prior to Monday’s 59-53 victory over Oklahoma. The Bears might have put an end to their losing streak, but they still failed to cover the spread for a third straight game. I think they'll find it very difficult to keep with the Red Raiders in this one. The Davidson Wildcats have won six of their last seven outright. They took a 54-51 loss as a 7.5-point home favorite at UMass on Feb 9 but bounced right back with a 10-point win at Fordham last time out. Here the Wildcats return home to Belk Arena where they're a perfect 11-0 SU (7-3 ATS) while averaging 76.0 ppg, and I expect the home team to run away with this game. The visiting St. Joseph's Hawks are banged up and 1-5 ATS in their last six games overall. They shot just 29.1 percent from the field as they took a 76-51 loss to St. Bonaventure Tuesday night. The Wildcats have allowed just 59.5 points per game across 11 conference games, so points won't come easy for the visitors here. The home team is 6-1 ATS in the last seven meetings and Davidson will be seeking revenge for a 61-60 loss in Philadelphia a month ago. 10* play on Davidson Wildcats. The Arizona Wildcats have dropped five in a row and took a 69-55 home loss Saturday to Washington State. They've struggled to put points on the board in recent games, but over is still 5-1 in Wildcats last six road games and they've allowed 78.3 ppg on average away from home. The Utah Utes on the other hand have played very well offensively of late, coming off a 93-92 triumph at UCLA and they've scored 70 points or more in each of their last eight games. Over is 6-1 in Utes last seven games following a straight up win and each of the last three meetings with Arizona have gone over the total. Wildcats are 0-5 ATS in their last 5 games overall. Utes are 6-2 ATS in their last 8 games overall. Gotta roll with the hotter team here. 8* play on Utah Utes. The Syracuse Orange have been a great bet both SU and ATS away from home this season, and I think they'll keep it close here at PNC Arena Wednesday night. NC State is coming off a much needed win at Pittsburgh but had dropped three straight prior to that, one of those a 47-24 setback against Virginia Tech here in Raleigh. Syracuse has won six of its last eight outright, a run that includes a 95-91 OT win as a 17.5-point underdog at Duke on Jan. 14. Orange are 10-3 ATS in their last 13 games overall. Wolfpack are 3-7 ATS in their last 10 games overall and 1-4 ATS in their last five home games. We can also note that NC State is 0-3 ATS as a home favorite of three points or less or pick this season. 8* play on Syracuse Orange. The Georgia Tech Yellow Jackets have lost five in a row and seven of their last eight, but I think they're spotted too many points to pass up on here at Cassell Coliseum Wednesday night. Virginia Tech enters this game on a two-game losing streak and will have to do without senior standout Justin Robinson who has missed the past three games. The Hokies have averaged just 54 ppg through those contests and points won't come easy here against a Georgia Tech team that has held opponents to 64.2 ppg on the season (25th in the nation). Considering that Georgia Tech took a SU and ATS loss at Notre Dame last time out and is 7-2 ATS in its last nine games following a ATS loss, taking the points on the visitors in this matchup is a no-brainer IMO. 10* play on Georgia Tech Yellow Jackets. The Maryland Terrapins took a 62-60 loss at Purdue Boilermakers in the first meeting of the season on Dec. 6. I think they'll get their revenge home at XFINITY Center Tuesday night. The Terps are 3-1 ATS when trying to avenge a road loss vs. an opponent this season and they'll be well rested after getting six days off since a solid 60-45 victory at Nebraska. Purdue on the other hand will be playing on significantly less rest after beating the same Cornhuskers team Saturday night. Maryland sits a game and a half behind the Boilermakers in the standings and can't afford to lose this game, particularly with matchups at Michigan and Iowa on deck. The No. 14 Kansas Jayhawks are coming off an 84-72 triumph as a 10.5-point favorite over Oklahoma State, but they're still just 2-6 ATS through their last eight games overall and 0-4 ATS in their last four on the road. The Jayhawks are averaging just 66.6 ppg on the road (well below their 76.7 ppg season average) and they're 0-4 SU and ATS as underdogs this season (all on the road). Here they'll visit a TCU side that is a solid 9-2 ATS in its last 11 home games and the Horned Frogs will be high on confidence following a 92-83 triumph as a 9.5-point underdog at No. 16 Iowa State on Saturday, beating a ranked team on the road for the first time in 21 years. With the Jayhawks 1-5 ATS in their last six games vs. a team with a winning straight up record I think this looks like a good spot to back the home team at Schollmaier Arena Monday night. 10* play on TCU Horned Frogs. 8* play on Housto Cougars. Baylor took an 84-72 loss at Texas on Wednesday, but they had won and covered the spread in six straight games prior to that. The Bears are 7-0 ATS in their last seven games following a straight up loss and I like the home team to bounce back with a win here against Kansas State on Saturday. The Wildcats have played well but could be due for a let down game after their 74-67 victory over No. 14 Kansas on Tuesday. They're averaging only 62.0 ppg and I their defense is likely to struggle with a Baylor team that averages 73.2 ppg overall. 10* play on Baylor Bears. The Dons gave Gonzaga a scare in San Francisco back on Jan. 12, but the Zags earned 13-point victory in the end after closing out the game on a 17-2 run. The Dons are coming into this matchup on a two-game losing streak and I don't see the Bulldogs making the same mistake twice. The last meeting will probably just make them more motivated to absolutely destroy their West Coast rival here. The home team is no doubt asked to cover a big number, but note that Gonzaga is riding a 12-game winning streak during which it has outscored opponents by an average of 34 points. The Zags are a perfect 13-0 SU (10-3 ATS) while averaging 91.2 ppg home at McCarthey Athletic Center. San Francisco meanwhile is 0-5 ATS in its last five road games and averages just 70.6 ppg away from home on the season. The UCLA Bruins are coming off a 69-55 loss at Washington, but they had won and covered the spread in back-to-back games (against Arizona and Washington St.) prior to that and they're a solid 11-4 ATS in their last 15 home games vs. a team with a losing road record. Here they'll host a Colorado side that is in a let down spot following a 73-51 rout of Oregon. With the Buffaloes just 2-6 ATS in its last eight games following a straight up win of more than 20 points and 1-7 ATS in its last eight games vs. a team with a winning straight up record I think this looks like a good spot to back the home team, particularly as the home team is 5-2 ATS in the last seven meetings in this series. 10* play on UCLA Bruins. The Villanova Wildcats host the Creighton Bluejays in Big East action Wednesday night. Each of the last three meetings have gone over the total (including a 90-78 Nova win at Creighton on Jan 13), but note that under is 4-1 in the last five meetings in Villanova and I think we'll see a relatively low-scoring affair this time around. Note that over/under is 1-8-1 in Nova's matchups home at Finneran Pavilion on the season and it held a good Georgetown side to 33.8% shooting last time out. Creighton averages just 75.0 ppg on the road, far below its 81.0 mark home/away combined. Defense has been an issue for the Bluejays all season, but it held Xavier to 54 points and 7-of-24 shooting from behind the arc last time out. The No. 11 Virgina Tech Hokies scored just 47 points last time out, but did still earn the W as they managed to hold North Carolina State to just 24 points on 16.7 percent shooting from the field. They're 3-9 ATS in their last 12 games after allowing less than 50 points in their previous game and I think they'll struggle with the No. 16 Louisville Cardinals in this matchup. Louisville had won six in a row SU (5-1 ATS) before taking a 79-69 loss to North Carolina last time out. The Cardinals are 8-1-1 ATS in their last 10 games following a ATS loss and 13-4 ATS in their last 17 games following a double-digit loss at home. Virginia Tech will have to do without its second-leading scorer, guard Justin Robinson, (foot) for a while, and I'm happy to take the points on the visitors here at Cassell Coliseum Monday night. 10* play on Louisville Cardinals. The Wake Forest Demon Deacons have seven losses through their last eight games and failed to cover the spread in six of those defeats. They're a pathetic 6-20 ATS in their last 26 vs. ACC rivals and took a 82-54 home loss to No. 16 Louisville last time out. Here they'll face a Clemson Tigers team looking to make it two wins in a row following a convincing 82-69 triumph over Pittsburgh. Wake Forest is only 4-8 ATS as an underdog and 0-6 SU away from home on the season. With Clemson a solid 9-4 ATS in its last 13 home games vs. a team with a losing road record and 4-0 ATS in the last four head-to-head matchups I don't see any reason to not back a motivated home team to win and cover. 10* play on Clemson Tigers. The No. 14 Villanova Wildcats are 17-4 SU (14-7 ATS) on the season, have scored 80 points or more in five straight games and covered the spread in each. Here they'll face a Georgetown team off back-to-back wins over St. John's and Xavier, but the Hoyas have struggled with Nova in recent seasons and dropped last season's two meetings by 32 points and 24 points. The Wilcats are 11-4 ATS in their last 15 home games vs. a team with a winning road record and I expect a blowout win for the home team at Wells Fargo Center Sunday afternoon. The St. John's Red Storm are 16-5 SU on the season and beat Creighton 83-67 as a 4-point road underdog last time out. They're 7-3-1 ATS in their last 11 games vs. a team with a winning straight up record and 3-1 ATS as an underdog on the season. Here St. John's will take on a Duke team that has won all but two games on the season and four straight since a 95-91 OT setback against Syracuse, but the Blue Devils are just 2-4 ATS through their last six games. St. John's won last season's meeting 81-77 as a 10-point dog and has covered the spread in five of the last six meetings. I doubt it'll win this one outright, but this is simply too many points for the home team to cover. 10* play on St. John's Red Storm. I like the No. 22 NC State Wolfpack to win and cover the spread when hosting the No. 11 Virginia Tech Hokies Saturday afternoon. Virginia Tech is coming off an 82-70 win at Miami-Florida, but it had lost its last two away games prior to that (at Virginia and North Carolina) by a combined 43 points! We can also note that the visitors might be without a key piece with Justin Robinson banged up. The Hokies are 1-4 ATS in their last five games vs. a team with a winning % above .600 and here it'll face an elite NC State squad that is 12-2 SU, 8-6 ATS at home on the season and 4-1 ATS in its last five home games vs. a team with a winning road record. The home team is 4-0 ATS in the last four meetings and that's a trend likely to continue here. 8* play on NC State. The Wisconsin Badgers have an 2-8 over/under record in Big Ten play on the season and have played five straight unders, one of them a 64-60 setback at Maryland on January 14 which closed with a total of 130.5 points. I think we'll see another low-scoring contest when they get a chance to avenge that loss Friday night. Maryland is scoring just 71.2 ppg on the road, well below its 75.0 season average overall, and under 4-0-1 in the Terps' last five vs. a team with a winning straight up record. Wisconsin has held four straight opponents to 60 points or fewer (avg of 52.8 ppg) and under is 6-0-1 in the last seven meetings with Maryland. Here Gonzaga will take on a BYU side that is coming off an upset win over St. Mary's, but had failed to cover the spread in all five games as underdogs this season prior to that triumph. The Cougars are 3-8 ATS in their last 11 games vs. a team with a winning % above .600 and 1-4 ATS in their last five games following a straight up win. The Zags have displayed a "show no mercy" attitude all season long and I don't see why this contest would be any different. The St. John's Red Storm have lost four of their past five games, the lone win an 81-66 triumph over Creighton on Jan. 16. Expect a fired up Bluejays side for this one as it tries to deny its Big East rival the season sweep, and the Jays will enter this contest with positive momentum following solid back-to-back SU and ATS victories over Georgetown and Butler. St. John's has allowed an average of 84.5 ppg through its last two games and that won't cut it against a Creighton team that enters this game ranked 20th in the nation in scoring at 83.4 ppg. The red hot Louisville Cardinals have won six of their seven games here in 2019, the lone setback an OT loss at Pittsburgh on Jan 9. They got revenge on Pitt with a 66-51 triumph last time out and have now covered the spread in three straight games while outscoring opponents by an average of 16.6 points. Here they'll face a Wake Forest team that has lost six of its last seven, covering the spread in just one of the defeats. The Demon Deacons are 4-7 ATS as an underdog on the season and 4-9 ATS in their last 13 home games. Louisville is a solid 19-5 ATS through its last 24 January games has been on fire offensively of late while Wake Forest has averaged 53 ppg through its last two games. The Texas Tech Red Raiders ended a three-game losing streak with a 67-64 triumph over Arkansas on Saturday. The Red Raiders failed to cover the spread to fall to 0-4 ATS through their past four games, but that's also the reason why were getting such a good number on the home team in this contest. Here they'll face TCU Horned Frogs side in a letdown spot off back-to-back home wins over Texas and Florida. The Horned Frogs defeated the Gators last time out despite shooting just 36% from the field overall. That won't cut it here against the Red Raiders who rank 2nd in the nation for points allowed giving up just 56.4 ppg while having no trouble to light up the scoreboard themselves, particularly at home. Texas Tech is 11-1 SU at home but only 3-8-1 ATS, mainly because it's often been asked to cover double-digit spreads. It averages 73.3 ppg while allowing just 52.0 ppg home at United Supermarkets Arena and I expect the home team to run away with this game. The FSU Seminoles snapped a three-game skid with a 77-68 win over Clemson on Tuesday. The last time they won prior to that was a six-point triumph over Miami-Florida on Jan 9, and I think they'll get the better of the Hurricanes again here in the second meeting of the season. The Hurricanes shot just 33.9% from the field in a 73-53 loss to Syracuse on Thursday. They're 2-9 ATS versus teams averaging 77+ points/game and should find it hard to keep up with FSU's firepower. 10* play on Florida State Seminoles. I like the Oakland Golden Grizzlies to cover the spread here at Illinois-Chicago Flames Saturday afternoon. Oakland is coming off a 73-71 loss at IUPUI but still managed to cover the spread for a third straight game to improve to 5-3 ATS within the Horizon League. It averages a healthy 76.6 ppg and the Flames have struggled with high-scoring teams going 0-6 ATS versus opponents scoring 76+ points/game. With the Golden Grizzlies 5-1 ATS in their last six Saturday games and the Flames are 4-9 ATS in their last 13 Saturday games I think we have plenty of reasons to think that the visitors will keep this close. 8* play on Oakland Golden Grizzlies. The Marquette Golden Eagles are 17-3 on the season and enter this game on a six-game winning streak (5-1 ATS) following a double-digit win against DePaul last time out. I like Marquette to keep rolling here against a Xavier team that is coming off back-to-back SU and ATS losses, the most recent a 64-62 setback against Providence. Xavier is just 1-3 ATS as an underdog on the season and took a 70-52 beating as a 7.5-point underdog at Fiserv Forum less than three weeks ago in the first meeting of the season. The Georgia Tech Yellow Jackets are 4-0 ATS as an underdog on the season and they just ended a two-game skid with a solid 63-61 home win over Notre Dame as a short underdog on Tuesday. The Duke Blue Devils are no doubt the superior team (duh), but will find it hard to run up the score against a team that has allowed an average of just 67 points in its six games against ACC opponents on the season. 8* play on Georgia Tech. The Kent State Golden Flashes enter this contest riding a three-game winning streak, claiming two of those three outright as underdogs. They're 5-1 ATS as an underdog this season and I think they'll keep it close here against a Buffalo team coming off a tight loss at Northern Illinois to fall to 0-3 ATS in its last three games. "That's three games in a row now that we have not played good basketball. We need to get back to the blue collar stuff that got us to this point, like rebounding and diving for loose balls." coach Nate Oats told the media after the most recent setback. Easier said than done though, and I'll take my chances with the home team in this matchup. 10* play on Kent State. The South Dakota State Jackrabbits won for the fourth straight time as they defeated North Dakota 78-74 at Betty Engelstad Sioux Center last time out. They failed to cover the spread but are 16-5 ATS in their last 21 games following a ATS loss and 16-7 ATS in their last 23 home games vs. a team with a losing road record. Here they'll face a North Dakota State Bison team that has yet to win away from home this season and is averaging only 61.6 ppg on the road. South Dakota State meanwhile is averaging a solid 88.5 ppg home at Frost Arena and I predict an easy win for the home team in this matchup, also supported by the fact that the home team is 6-2 ATS in the last eight meetings. 8* play on South Dakota State Jackrabbits. The No. 5 Michigan State Spartans have dominated the No. 21 Iowa Hawkeyes in recent seasons, winning three straight meetings and the first matchup of the season 90-68 back in December. The Spartans enter this contest riding a 12-game winning streak after earning a 69-55 decision against No. 16 Maryland Monday night, and that despite going just 6-of-26 from behind the arc. With the sixth best defense in the nation they don't have to rely on offense though, and the Spartans have held four of their last six opponents under 60 points. The Spartans have covered the spread in eight straight games, they're 10-1 ATS in their last 11 games vs. a team with a winning % above .600. and a perfect 5-0 ATS in their last five road games. Iowa has won five in a row after a 95-71 rout of Illinois last time out but is 0-4 ATS in its last four games following a straight up win of more than 20 points. 10* play on Michigan State Spartans. The Kansas Jayhawks are a perfect 11-0 at home on the season and they've won 15 straight at Allen Fieldhouse dating back to February 3, 2018. They should be extremely fired up for this game, not only looking to bounce back from a one-point loss to West Virginia last time out but also seeking revenge for a 77-60 loss at Iowa State on Jan 5. Cyclones are 4-11 ATS in their last 15 road games vs. a team with a home winning % of greater than .600. The Oklahoma State Cowboys have covered the spread in only two of their last 11 games and are 2-7 ATS in their last nine games vs. a team with a winning straight up record. Here they'll face an Iowa State team that is 9-3-2 ATS in its last 14 home games vs. a team with a losing road record and will be riding on the momentum of a 68-64 triumph as a 5.5-point underdog at No. 9 Texas Tech last time out. We can also note that Oklahoma State will be shorthanded as coach Mike Boynton dismissed three players for a violation for team rules a couple of days ago. Boynton is now left with nine players on the Cowboys’ roster, including freshman walk-on Luke Major. The Bowling Green Falcons have won and covered the spread in eight straight games. They're perfect home at Stroh Center on the season and will host a reeling Western Michigan side that has lost four straight and seven of its last eight. The Broncos have surrendered 85 points or more in three consecutive games and I don't see them keeping up with a Falcons side that averages 83.0 ppg at home. 10* play on Bowling Green Falcons. The Ohio Bobcats have dropped two of their last three games and took a 66-52 beating by Kent State last time out. They're 4-0 ATS in their last four games following a double-digit loss at home and I think they'll put up a good fight here at Toledo Friday night. The Rockets are off to a solid 14-3 start to the season but are just 5-12 ATS in their last 17 home games vs. a team with a losing road record. I think the home team is overvalued by the bookmakers here and I'm happy to take the points on the visiting Bobcats. 10* play on Ohio Bobcats. The Gonzaga Bulldogs have covered the spread in seven straight games and are a perfect 9-0 ATS when favored by 20 points or more this season. Here they'll face a Loyola Marymount side that has covered the spread in only two of its last six games and lost two of its first three conference matchups. The Bulldogs have dominated this series for quite some time as they go for their 20th consecutive victory over the Lions, and they're 6-1-1 ATS in the last eight meetings. 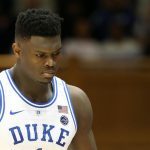 The Kentucky Wildcats look like a solid road favorite at Georgia Bulldogs Tuesday night. Kentucky has failed to cover the spread in back-to-back wins (-14.5 & -12.5), mainly because it had to battle back from double-digit HT deficits in both. "We’ve got to figure out how we start games," Wildcats coach John Calipari told reporters after Saturday’s 56-47 triumph over Vanderbilt. I don't think Calipari will allow his team to come out flat three games in a row, and Georgia usually brings out the best of the Wildcats who have won 11 straight meetings and claimed last year's matchup 62-49 as a 4.5-point favorite. The Bulldogs have opened conference play 1-2, losing by 46 points at No. 3 Tennessee on Jan. 5 and by 15 points at No. 12 Auburn last time out.